and set the "Working directory" to the path of "editor\data" for the editor or "game\data" for the game. a lot since the last time. Each champion has an amount of food and water. These values are initialized with 1500 + RANDOM(256) when we add the champion to our party. And obviously they are saved in the CCharacter::save() when we save the game, and loaded in CCharacter::load(). These values appear as bars in the character's sheet. When the value is below 0 the bar appears yellow. And when it is below -512 the bar appears red. 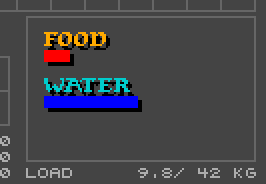 "Food" and "water" are one of the few texts of the game that are stored as images. That's a bad habit if you want to translate your game in another language. work just like the ones we had for the mana and health regeneration. 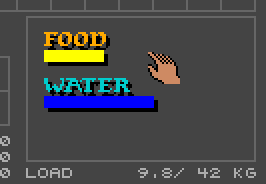 We update them in CCharacter::update() and when they finish we decrement the food and water values. And as you can see they have different values when the party is sleeping or not. 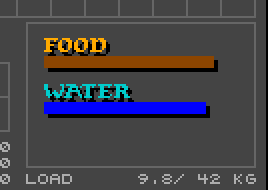 In the original game the food and water decrease followed a complex rule based on the stamina level. champion decreased. But we'll talk about that in another part. The mouth icon in the character sheet has some peculiarities. Then we want to add a mouse area for it, as when we will click on it with food or water in our hand we will "eat"
water field of the character and play a sound. After that the water flask turns to an empty flask. The water skin has some charges like a torch. Because we can drink 3 times before it turns to an empty skin. We'll talk about the initialization of these charges later. So in CInterface::update() we will call a eat function when we click on the mouse. end of this animation before really eating the object. finally increment the food field of the character. As we said waterskins have a number of charges, like torches. Throughout the game, when you find a waterskin it is either completely empty or completely full. Waterskins also have another peculiarity: their weight changes with their charge. to reflect this action on the current load of the character. We already used a fountain for a lock, now we will create the real fountain object. The mouse area is tested in CGame::update() and calls a fillOrDrink() function. Note that we also call it for the "fountain lock" that we already had. We can either fill a water flask or a waterskin. 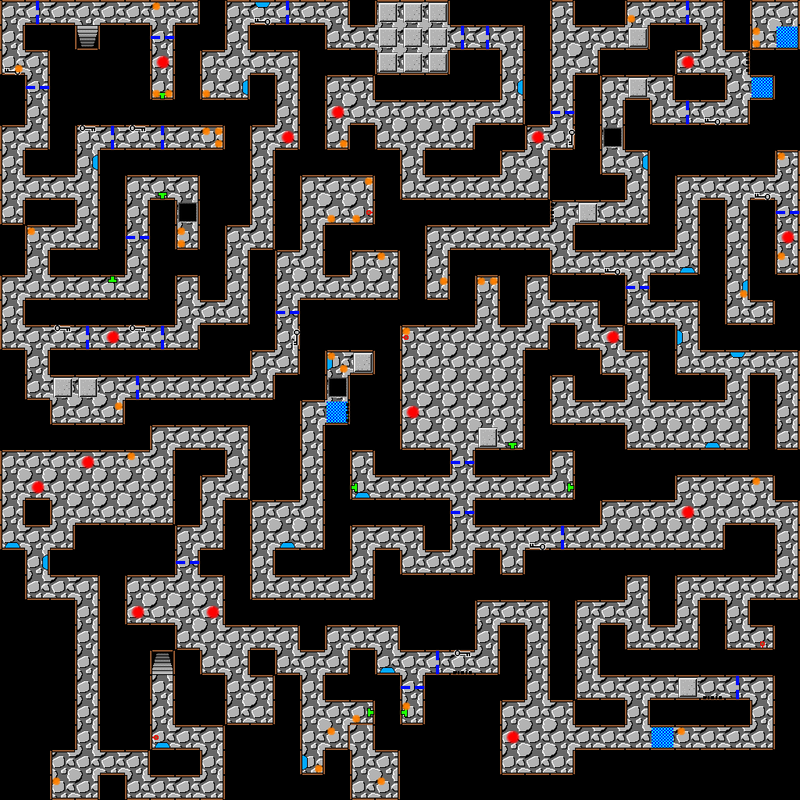 I added all the fountains of the second level in the map. attack. But we did not pass it the right object. So combat difficulty should look more like the original game now. I also fixed a bug that made the program crash when you clicked below the last attack of a weapon.